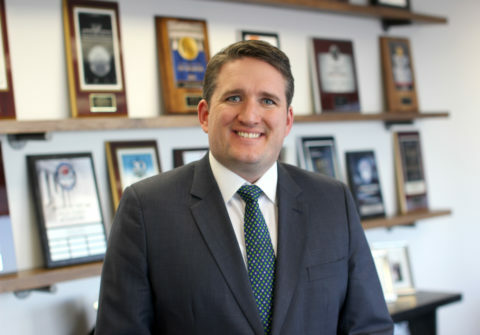 Sean K. Kerley is an associate attorney at Simon Greenstone Panatier, P.C. Sean’s practice primarily focuses on litigating personal injury matters, with an emphasis on cases involving exposures to asbestos, talc and talcum powder products. Additionally, he has experience litigating cases involving catastrophic personal injuries, wrongful death, construction site accidents, mass torts, and train crashes. Sean has been included on the New York Super Lawyers Rising Stars listing, and was selected as an Irish Legal 100 Rising Star. Sean devotes time outside of his law practice supporting charitable causes including membership on the Young Professionals Board for the Gift of Life Bone Marrow Registry. He is the Vice-Chair of the Young Lawyers’ Section of the Brooklyn Bar Association, a member of the American Association for Justice, and a member of the New York State Trial Lawyers Association.